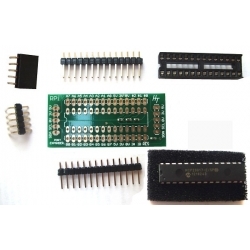 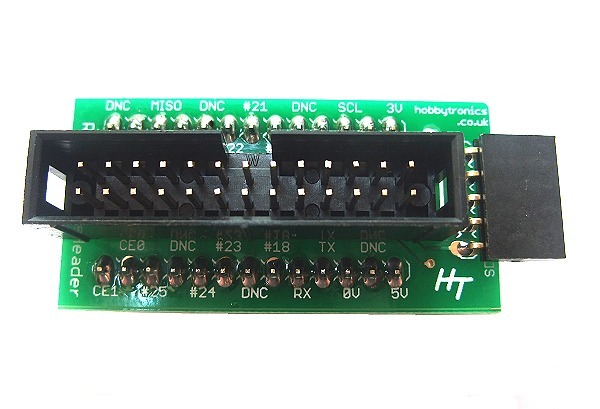 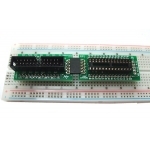 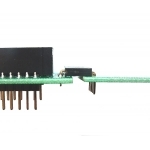 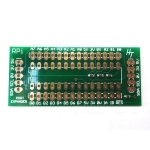 This useful kit contains the MCP23017 Port Expander chip and a breakout board which connects directly to our Raspberry Pi GPIO Breakout Board and plugs into a Breadboard. 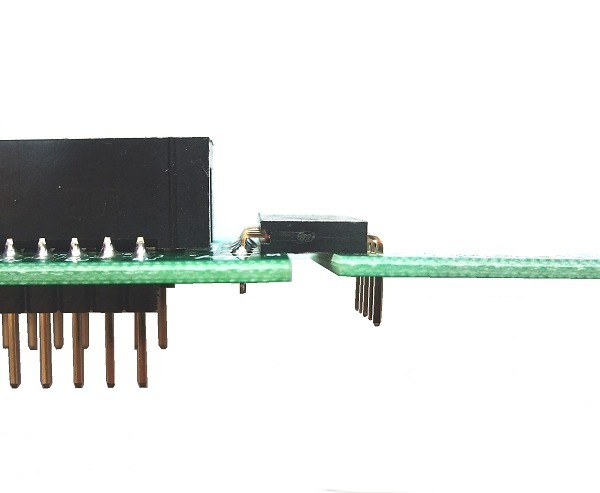 The Power and I2C connections are automatically made to the GPIO Breakout Board via a 5 way header socket so no breadboard wiring is needed. 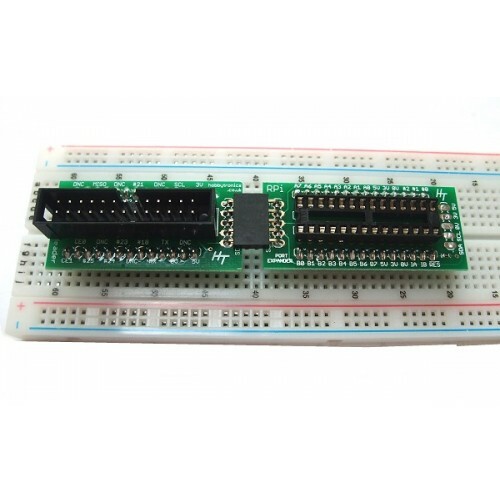 This is a kit and requires soldering. 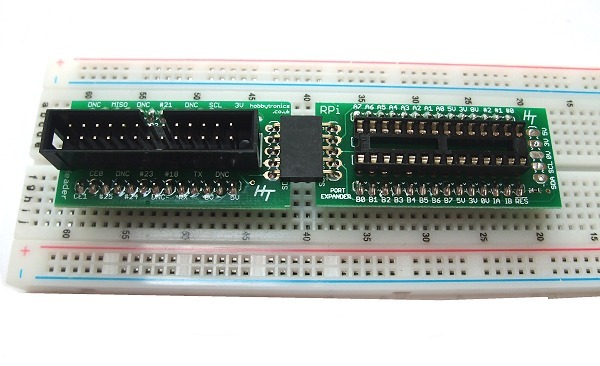 Next, the 5 pin right angled male header pins should be soldered to the Port Expander Board. 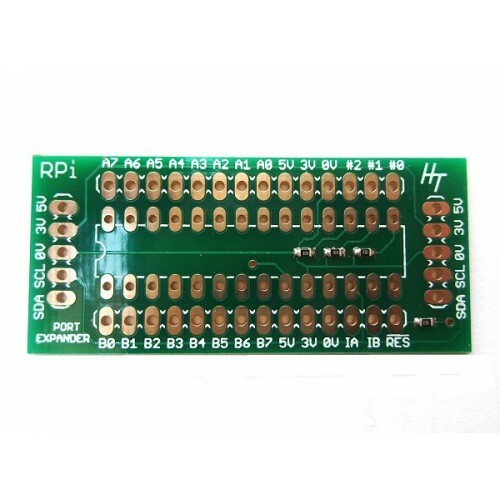 If you solder the header pins onto the board as they come they will be too high to mate with the header socket on the GPIO board. 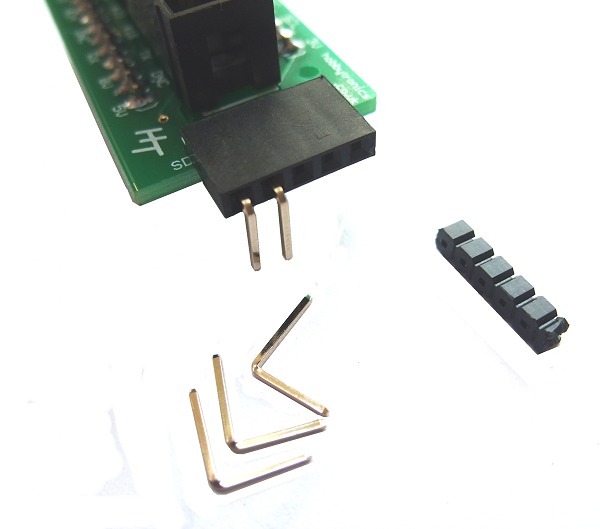 Instead, extract the pins individually using some pliers and insert the pins into the female socket as shown below. 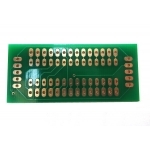 They can then be soldered onto the Port Expander Board. Next solder the IC Socket and 14 way header pins onto the board.